Our expounding on the coolness of the Clock King arc concludes with a look at “The Clock King Gets Crowned”! Did Madge Blake need help with her lines from the film editors? Is Millie Clock King’s “beard”? 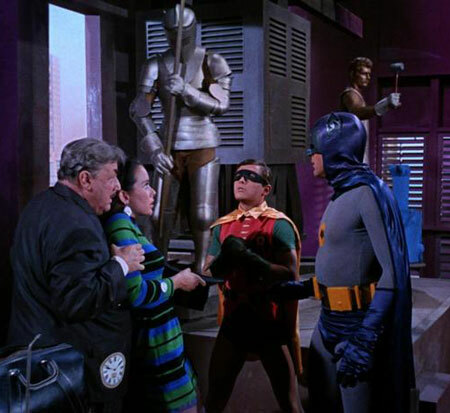 Might the first draft of this episode have called for a climactic fight at Wayne Manor? (And, if so, why was it scrapped?) Plus, this episode’s cluster of “meanwhile” cross-cuts and its operatic fight music, and a couple of international Bat-records!